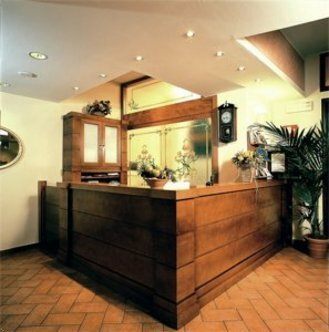 Hotel Sempione is located in the historical centre of Florence, one of the nicest towns of Italy, just 100 meters from Santa Maria Novella train station, the Congress Palace, Fortezza da Basso and just a few steps from the cathedral and the most important Florentine museums and churches. All rooms are new and tastefully equipped and have private bathroom with hair-dryer, direct line telephone, satellite television, safety deposit box, mini bar and air conditioning. We have a lift and we provide our handicapped guests with two special rooms. Our rooms, furnished in the classical style with parquet floor or Florentine cotto are all soundproofed and equipped with mini bar, safety deposit box, satellite television, direct line telephone, individually controlled air-conditioning-heating, private bathroom with hairdryer, bath tub or shower and linen warmer. On request rooms with balcony, terrace, bath tub, rooms for handicapped people are available.